How do I find a domain through DomFind.com work? DomFind is a huge and great resource for anyone looking to find a domain name. If you’re looking for a domain name your business name, that’s great, we have it. If you’re looking to advertise your product, start a website, promote your existing company or even if you just want to start a blog, DomFind has a domain name, perfectly suited for your new venture. Over the years the, DomFind team has collected thousands of domains in as diverse of industries as health care, construction, banking and finance, education, energy, design and we’ve even collected emotional sounding domains like funny or cleaver, edgy or happy then we even have domains which are clever sounding, witty, global or even sad (if that’s your thing). Basically what we’re saying is that DomFind is the place for you to find a domain name for whatever you’re doing. We have thousands of domain names at great prices all you have to do is pick the best domain name for what you are looking to do with it, and we’ll transfer it to your domain name register. From there you can build it into anything you wish and as long as you keep it registered it’s basically yours forever. Is DomFind right for me? 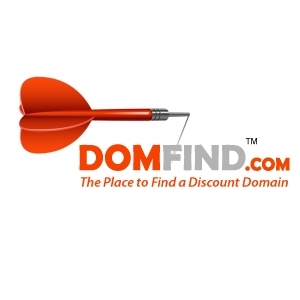 If you’re interested in finding a great domain name at a reasonable price then yes, DomFind is right for you. Whether this domain name is for an existing company that you are looking to expand, a new venture, new product or even if it is for a personal blog, DomFind has the perfect domain name for you. It doesn’t matter if this domain name you are looking for is for a private business you’re working on or for a large company, we have thousands of domain names ready to be use and ready to be made into a Fortune 500 company or business. Yes, DomFind is right for you! Why should I care about my company’s name, can’t my product stand on its own? We think of company names and domain names as a first introduction to your potential clients, a first introduction as it were and we all know that you never get a second chance to make a first impression. While yes your business needs to rest on your product or service it’s your domain name that will get your foot in the door. A great company name and domain name can get your clients attention and get them to your site. It is a representation of what your company or business is and what it does. A domain name is like a street address, without them (domain names and street addresses) we would never get our mail to the right person, business or we would never be able to look up directions, get where we need to be and would continually get lost. A domain name is where people can find your business, company, blog or anything you are doing on the web, basically your address online. To read a full description of what a domain name is please just follow the link to learn everything about them. When do I get my name? As soon as the purchase is complete, we will begin the transfer process. Depending on the domain name register you plan to have your domain name with, will determine how long till the domain is in your account. If you don’t have a domain name register you should set one up as soon as possible so we can transfer the domain to you, if not we will need to wait until you do. This will be your personal holding place for your domain so that once the domain is transferred to you, you can do what you need to with it and it is in your personal possession. To begin the transfer process from DomFind to your account, we will need you customer number and the email associated with that account. Generally, the transfer process takes a few business days, usually shorter. We’ve prepared an article about how the domain name transfer process works so please check it out to learn more how long it will take and everything else about a domain name transfer. How do you find a domain name on DomFind? Finding a great domain name on DomFind has never been easier. The first place you would want to look is down the left hand side of DomFind at our Category list. This list has broken down the domain names into categories based on industries as well as length of name. So if you’re looking for a domain name for your construction company, scroll down the page till you see “Construction Company Names.” Just click on the category and you’ll find hundreds of names perfect for that industry. If you’re like us and like to see the same thing just in different ways and want to see the category list arranged differently, just click the “Find Your Domain Now” button at the top of the page and the same category list is now displayed differently. This may be easier for you to navigate and a helpful tool for you domain name search. The third way you can search on DomFind is our partial word search. If you have a specific word in mind, a word you might like to see included in your domain name, this search box is for you. All you have to do is enter the word or partial word in the box “Enter a short word or partial word” and hit go. All of the domain names that include that partial word will come up. One word of note, the smaller the partial word the more results will come up and the longer the word the fewer results. Please also feel free to contact the DomFind team as we can help guide you to the domain names you are looking for. Do the logo’s come with the domain names? No. The logo’s you see on our site have been designed to give you an idea what your company name could look like on business card, billboards, and the side of a truck or building. The DomFind team feels you can get a better sense of the name, a feel for the domain name as it is, if you can see it visually instead of simply a list of names. 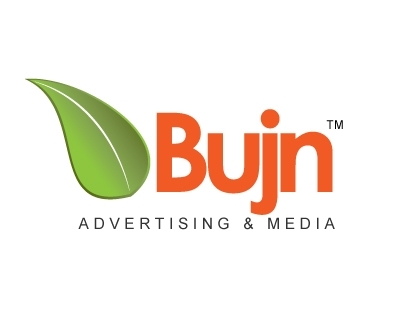 If you like the logo that you see with the domain name you are more than welcome to purchase it. How much is the logo if want it? If you see a domain name that you love and you love the logo that you see with it, the logo is available for sale it two ways. The first, if you love the logo as is, DomFind will be glad to send you the logo for $59. That means you will get the logo as you see it on our website. The second way is, when you find the perfect domain name and maybe the logo doesn’t work for what you’re looking to do with it, we would be more than happy to completely redesign the logo. For $299, we’ll have our team of designers recreate the logo based on your likes and dislikes. Can you change the logo if I want it? If you are going with the custom logo design, yes you can change the logo. If you are go with the logo “As Is” no. You will have several rounds of logo design if you go with the custom logo. How will I receive my logo? We can send you your logo in a number of different formats including: .gif, .pdf, .ai, .eps, .svg, .png & .jpeg. If you have any other special format, please just let us know, we will be happy to send you the artwork in that format. Do I own the domain name forever? Yes you can keep it forever. Once we transfer the domain name to you, DomFind has nothing to do with the domain anymore. The domain name is in your possession, we have no claim to the name or responsibility for keeping it registered. As long as you keep the domain name registered with whichever register you decied to go with, you can keep your domain name till the end of time. How long can I renew the domain name for? Depending on what register you keep the domain name with you will be asked to renew anywhere between 1 year and 10, is the average. Many registers now have “Auto Renew” buttons and once this is box is ticked it will keep renewing and you never have to worry about it anymore. Don’t worry you can always click “auto renew” at any time and the register will keep renewing it. Domain Registers are in the business to keep the domain name with them and they will send a lot of reminders as the time to renew gets close. Where do I host the domain name? Where you host the domain name is totally up to you. We need to transfer the domain name to a register. Some of the most popular domain registers are GoDaddy, 1&1, NameCheap, Name.com and there are many more. You just need to set up an account. Most domain registers are free to set up an account and to have the name with that company, usually runs $7 to $12 dollars a year. We it really depends on what domain name register you go with. DomFind has a deal with GoDaddy and if you decide to keep your domain name with them, we can get the domain name to you within a few hours. If you go with any other domain name register there is a bit more back and forth which takes a bit more time. This process can take up to, but not usually, three business days. Please check out our How a Domain Name Transfer Works article for a full and detailed description of the process and a step by step tutorial of how it happens. What is a brandable domain name? In short a brandable domain name is a name that has been created or developed and has no intrinsic meaning Some brandable names have partial words are even built off Greek or Latin words. For example Avoxx, has no real meaning but Vox is Latin for voice. This brandable domain name would work well for any business dealing with sound, including music, music store or even a doctor dealing with the throat. We love brandable domain names because they word for so many different industries and they can be made into just about anything you want to make them into. Also the have been created to sound interesting and to stand out in a crowd. To learn more about brandable domain names please make sure you check out our blog, as we are always posting new and interesting ideas about and reasons why we love brandable domain names. No, not from us. While to sign up for most Domain Name Register is free you will have to pay a yearly fee. What payments does DomFind accept? DomFind can accept Visa, MasterCard, American Express and PayPal. DomFind will be more than happy to work with Escrow. We welcome payments via escrow. Basically we’ll open the account and send you an invoice. Once you pay the invoice the money is held by the escrow company, we then send the domain name to escrow where it is also held. Once the escrow company has received both and they are satisfied the each party has provided what was promised the escrow company releases the payment and domain name to the separate parties. This process does take a bit more time but is a great way to proceed if you have any questions about the process. Does DomFind have payment plans? No we don’t have a payment plan, but if you are interested in a domain name and you are not able to pay for the entire thing up front, please contact us and there is a possibility we can work something out. Are the domain names trademarked? No, the “TM” that you see on the logos is DomFind establishing an initial claim to the mark. This is DomFind giving notice of commercial use and common-law claim of trademark rights. All rights that this incurs will be transferred to you with your purchase. No marks have been registered with either the European Office for Harmonization in the Internal Market (Trade Marks and Designs) or the United States Patent and Trademark Office. All sales are final but DomFind will be happy to hold the domain name for you while you decide. For example, you see the perfect name for business and you don’t want to lose it while you are checking to make sure you can use the name (Trademark Issues) we will be happy to hold the name for you, for 48 business hours. We know that there are a lot of places you need to check when you decide on a business domain name and we would like to help. Can I ask the DomFind staff a question about a name on your site? Yes, the DomFind staff is friendly and will be more than willing to help you with any questions you have about the company or about any of the domain names on the site. If you have questions about the domain name transfer process, what a domain name is or any questions at all feel free to contact DomFind via email or contact DomFind by phone. If you have any questions about transferring a domain name or would like to contact someone about a domain name that you’ve seen please contact the DomFind Team. The DomFind Team gets a huge amount of questions about different aspects of domain names and the domain industry. For this reason we set up a Domain Name Question and Answers Page where we’ve assembled all these questions and answered them. It’s quite possible you’re question is the same as one of these so we encourage you to check it out. If you’re question is not there, feel free to post it in the page below. AlohaJewels.com is an adaptable, clear and cool dot-com domain name. The name is spelled: A-L-O-H-A-J-E-W-E-L-S with .com added. The domain is eleven characters in length. The shorter the better — so 11 characters makes AlohaJewels.com a very desirable domain name. AlohaJewels.com does not contain hyphens, numbers or special characters. The domain is clear and extremely brandable. AlohaJewels.com is a dot-com TLD (top-level domain). The dot-com domain is adaptable and can be used in many markets. PatioGoods.com is an engaging, memorable and cool dot-com domain name. The name is spelled: P-A-T-I-O-G-O-O-D-S with .com added. The domain is ten characters in length. The shorter the better — so 10 characters makes PatioGoods.com a really great domain name. PatioGoods.com does not contain hyphens, numbers or special characters. The domain is short, clear and exceptionally brandable. PatioGoods.com is a dot-com TLD (top-level domain). The dot-com domain extension is the most widely used extension in the world. ArcFish.com is a really unique and cool dot-com domain name. The name is spelled: A-R-C-F-I-S-H with .com added. The domain is seven characters in length. The shorter the better — so 7 characters makes ArcFish.com an excellent domain name. ArcFish.com does not contain hyphens, numbers or special characters. The domain is engaging and very brandable. ArcFish.com is a dot-com TLD (top-level domain). This dot-com has a strong global appeal. MrTrench.com is a really unique, memorable and cool dot-com domain name. The name is spelled: M-R-T-R-E-N-C-H with .com added. The domain is eight characters in length. The shorter the better — so 8 characters makes MrTrench.com a really great domain name. MrTrench.com does not contain hyphens, numbers or special characters. The domain is short, powerful and highly brandable. MrTrench.com is a dot-com TLD (top-level domain). The dot-com domain extension is the most widely used extension in the world. ReliantLoans.com is a catchy and cool dot-com domain name. The name is spelled: R-E-L-I-A-N-T-L-O-A-N-S with .com added. The domain is twelve characters in length. The shorter the better — so 12 characters makes ReliantLoans.com an excellent domain name. ReliantLoans.com does not contain hyphens, numbers or special characters. The domain is memorable and exceptionally brandable. ReliantLoans.com is a dot-com TLD (top-level domain). The name can be used in a wide number of markets. SunsetEdge.com is a catchy and cool dot-com domain name. The name is spelled: S-U-N-S-E-T-E-D-G-E with .com added. The domain is ten characters in length. The shorter the better — so 10 characters makes SunsetEdge.com a really great domain name. SunsetEdge.com does not contain hyphens, numbers or special characters. The domain is easy-to-pronounce and highly brandable. SunsetEdge.com is a dot-com TLD (top-level domain). The dot-com domain extension is the most widely used extension in the world. ChainFish.com is a fresh and cool dot-com domain name. The name is spelled: C-H-A-I-N-F-I-S-H with .com added. The domain is nine characters in length. The shorter the better — so 9 characters makes ChainFish.com a really great domain name. ChainFish.com does not contain hyphens, numbers or special characters. The domain is short, clear and very brandable. ChainFish.com is a dot-com TLD (top-level domain). There is high market demand potential for dot-com TLDs. WedBy.com is an adaptable, clear and cool dot-com domain name. The name is spelled: W-E-D-B-Y with .com added. The domain is five characters in length. The shorter the better — so 5 characters makes WedBy.com a commercialy valuable domain name. WedBy.com does not contain hyphens, numbers or special characters. The domain is interesting and exceedingly brandable. WedBy.com is a dot-com TLD (top-level domain). The dot-com domain is adaptable and can be used in many markets. CedarLuxury.com is a catchy and cool dot-com domain name. The name is spelled: C-E-D-A-R-L-U-X-U-R-Y with .com added. The domain is eleven characters in length. The shorter the better — so 11 characters makes CedarLuxury.com a valuable domain name. CedarLuxury.com does not contain hyphens, numbers or special characters. The domain is engaging and exceedingly brandable. CedarLuxury.com is a dot-com TLD (top-level domain). The dot-com is evocative and search engine friendly. DentiChoice.com is a really unique and cool dot-com domain name. The name is spelled: D-E-N-T-I-C-H-O-I-C-E with .com added. The domain is eleven characters in length. The shorter the better — so 11 characters makes DentiChoice.com a widely valued domain name. DentiChoice.com does not contain hyphens, numbers or special characters. The domain is easy-to-pronounce and very brandable. DentiChoice.com is a dot-com TLD (top-level domain). This dot-com has application in multiple industries. RawBirth.com is a catchy and cool dot-com domain name. The name is spelled: R-A-W-B-I-R-T-H with .com added. The domain is eight characters in length. The shorter the better — so 8 characters makes RawBirth.com an excellent domain name. RawBirth.com does not contain hyphens, numbers or special characters. The domain is easy-to-pronounce and exceedingly brandable. RawBirth.com is a dot-com TLD (top-level domain). The dot-com domain is adaptable and can be used in many markets. BioWholesaler.com is a next generation domain name available to buy now. Aproximity.com is a memorable and cool dot-com domain name. The name is spelled: A-P-R-O-X-I-M-I-T-Y with .com added. The domain is ten characters in length. The shorter the better — so 10 characters makes Aproximity.com a very sought after domain name. Aproximity.com does not contain hyphens, numbers or special characters. The domain is easy-to-read and very brandable. Aproximity.com is a dot-com TLD (top-level domain). This dot-com has a strong global appeal. DriveOrRide.com is a really unique and cool dot-com domain name. The name is spelled: D-R-I-V-E-O-R-R-I-D-E with .com added. The domain is eleven characters in length. The shorter the better — so 11 characters makes DriveOrRide.com a much desired domain name. DriveOrRide.com does not contain hyphens, numbers or special characters. The domain is clear and highly brandable. DriveOrRide.com is a dot-com TLD (top-level domain). This dot-com has application in multiple industries. MadMice.com is a memorable and cool dot-com domain name. The name is spelled: M-A-D-M-I-C-E with .com added. The domain is seven characters in length. The shorter the better — so 7 characters makes MadMice.com a strong potential domain name. MadMice.com does not contain hyphens, numbers or special characters. The domain is memorable and extremely brandable. MadMice.com is a dot-com TLD (top-level domain). This dot-com has a strong global appeal.